Small Animal Talk: What do cats like scratching the most? What do cats like scratching the most? Hero rubs his face all over his catnip-infused corrugated-cardboard furniture-sparing scratching station. Adjacent to his scratchy mat. Life is good. Horizontal, vertical, multi-levelled, tall or short: what kind of scratching post do cats prefer? 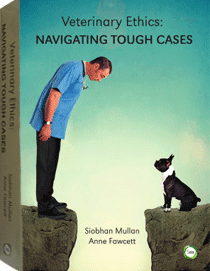 Our friends at Companion Animal Psychology have shared the news here. BUT…remember among felines there is individual variation. For example, in our house, such scratching posts are ignored. Especially if they were expensive (there seems to be a rule with cats whereby their enthusiasm for something you buy for them is inversely proportional to what you paid for it). Corrugated cardboard is all the rage here, and there needs to be a lot of it (it’s also cheap which confirms the aforementioned feline-onomics rule). 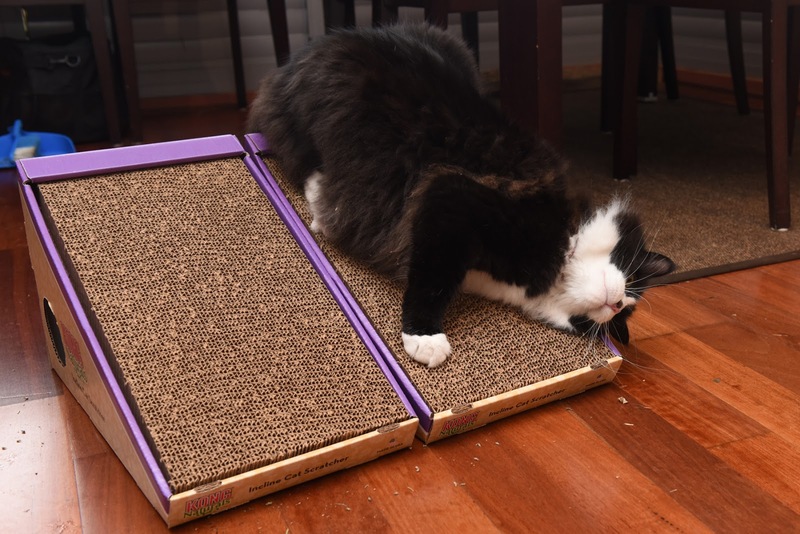 Mike and Hero are also big time horizontal scratchers, so they dig shag pile rugs, scratchy doormats and carpet. Because Michael is older and has a touch of arthritis, her claws are particularly long and she gets them caught in things. I trim them regularly. I would also add that I am fairly realistic when it comes to the furniture. I don’t take the risk – I use throw rugs and doonas to protect furniture from claws, paws and little tiny hairs that I seem to find everywhere anyway (which is why I need this book).